Eton Mess, a traditional British dessert, is a simple dessert composed of whipped cream, marinated fresh berries, and crushed meringues. Oh and we’re celebrating the new season of Downton Abbey! Layered with lightly whipped cream, crispy vanilla bean meringue cookies, and fresh strawberries, this might just be my new favorite dessert. Not only is it super light, but it’s gorgeous! These are perfect served in Weck Jars (my other favorite thing! ), for either a weeknight treat or even for special occasions. Do you watch Downton Abbey? I was against watching it for a while, since my favorite shows tend to be…darker. I’m more of a Dexter and Breaking Bad kind of fan, but Downton Abbey grabbed my attention and never let it go. It’s packed with suspense, family drama, and most of all, I love all the details of the time period. The big dresses, the extravagant menus for dinner parties, the etiquette, and the gorgeous castles. If you need to relax, watching it is a total escape of reality – you’ll forget you’re living in 2014! 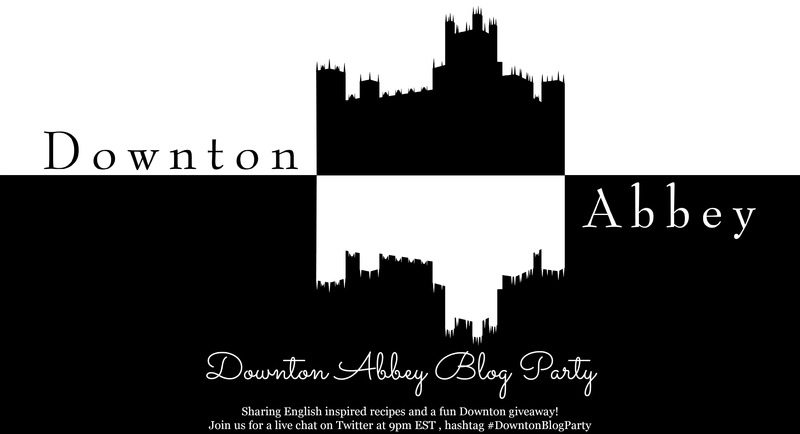 Make sure to scroll down for a Downton Abbey giveaway! Traditional British dessert, altered with fresh berries, crispy meringues, and light whipped cream. To make the meringues, preheat your oven to 225F. In a mixer or using a hand blender, whip the egg whites until frothy and slowly start adding the sugar one tablespoon at a time. Add vanilla and keep whipping until meringue is stiff and shiny. Spoon onto a baking sheet lined with parchment and bake for 1.5 hours. Turn oven off and let meringues sit overnight. To assemble Eton Mess: layer whipped cream, fresh berries, and crumbled meringue. Serve immediately. If you can't find vanilla powder, substitute for either vanilla extract or the inside of a real vanilla bean. You can use any kind of extract you'd like! My favorite is Lady Edith. One of my favorite desserts! I love how simple but elegant it is. I have yet to watch an episode of Downton Abbey but I hear it’s great! Im loving this dessert and the fact that its gluten free is a bonus! That is my kind of mess! 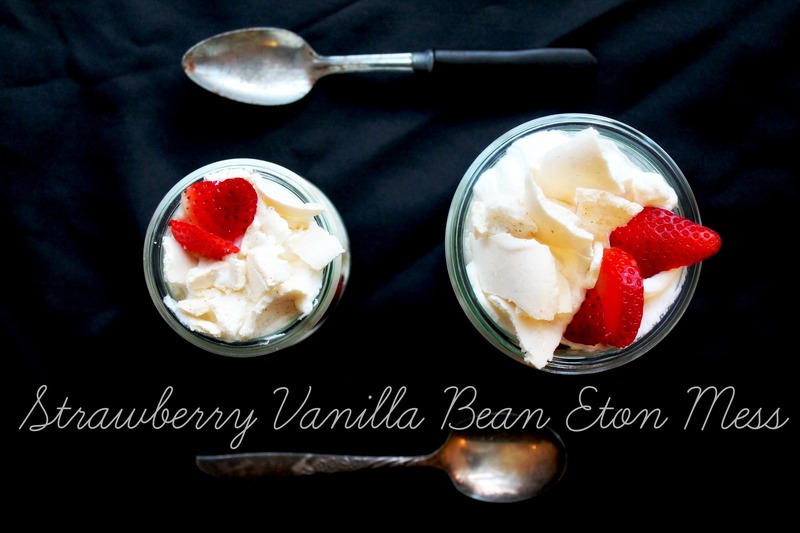 I’ve never seen Dowton Abby but this Eton Mess looks wonderful! I haven’t had that either but the photos make it look so, so good! I power watched the first three seasons of Downton a few months ago. Such a great show! Love these types of desserts, they are easy, yet look very elegant! Thank you for sharing yours. Funny, I was the same way. I put off watching it because I like dark shows too.. I’m a big Breaking Bad, Dexter SOA kinda fan. But I’m so glad I started watched it… Downton is one of my favorites now! Thanks so much for participating, your dish looks delicious! They killed off all my favorites! Wah! I really liked Sybil, but, well, she’s no more.